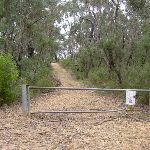 From the car park (and ‘Fortress Ridge’ sign), this walk heads around the gate and up the hill. 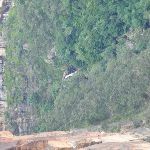 The management trail swings right for approximately 50m then turns left. 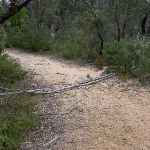 The trail leads to an area of low heath, then tends right (down the hill) for approximately 100m before coming to an intersection. 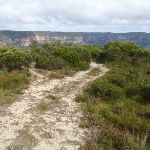 Turn left: From the intersection the track heads down the trail which tends off to the left. 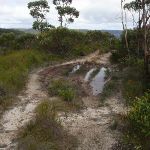 The track continues winding away from the main trail as it winds down the spur. 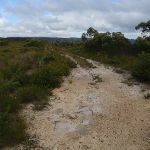 The track soon opens into a low heath area, out of the bush, where the trakc becomes more overgrown. 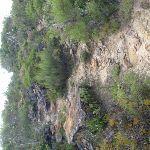 As the track continues down the hill it reaches a caldasac with a large bush in the centre of it. 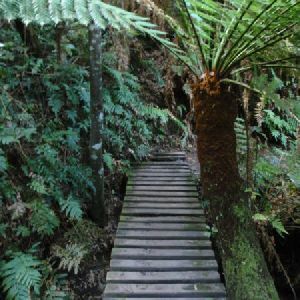 Behind the bush is the start of the bushtrack. 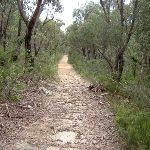 Continue straight: From the intersection the track heads down the hill, away from the management trail. 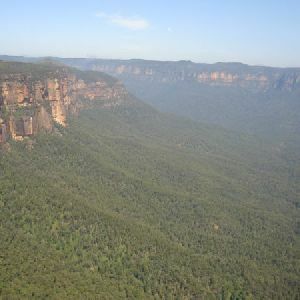 The track heads down towards the valley, winding down the hillside and onto a rock platform overlooking the valley. 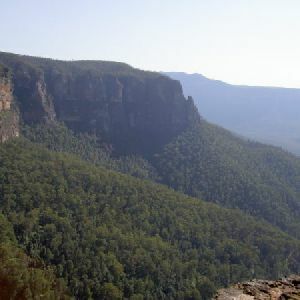 Govetts Creek View, in the Blue Mountains National Park is high on the escarpment above Govetts Creek. 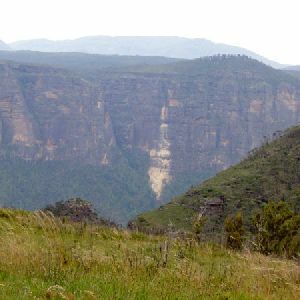 This informal unfenced lookout is at the top of the cliff line forming the south east corner of the large canyon. 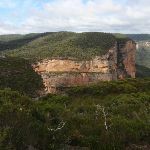 There are stunning views across the valley, and of the surrounding sandstone cliffs. 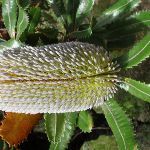 A place well worth visiting. 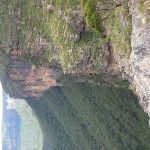 Around 740m of this walk is flat with no steps, whilst the remaining 690m has short steep hills. 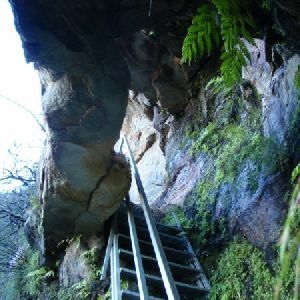 690m of this walk follows a formed track, with some branches and other obstacles and another 620m follows a smooth and hardened path. 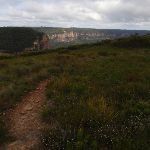 The remaining (120m) follows a clear and well formed track or trail. 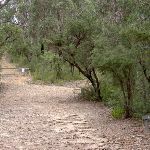 Around 820m of this walk has directional signs at most intersection, whilst the remaining 620m is clearly signposted. 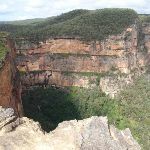 Around 1.3km of this walk requires no previous bushwalking experience, whilst the remaining 120m requires some bushwalking experience. 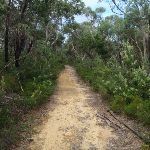 This whole walk, 1.4km is not usually affected by severe weather events (that would unexpectedly impact safety and navigation). 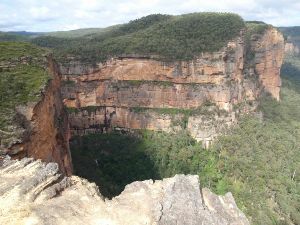 Around 820m of this walk has limited facilities (such as not all cliffs fenced), whilst the remaining 620m is close to useful facilities (such as fenced cliffs and seats). 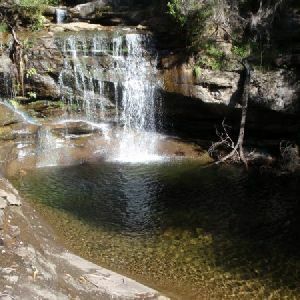 A list of walks that share part of the track with the Govetts Creek Lookout walk. 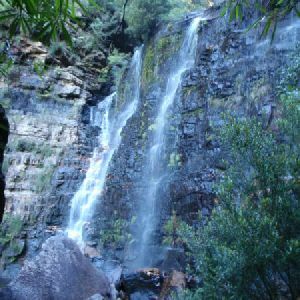 A list of walks that start near the Govetts Creek Lookout walk. 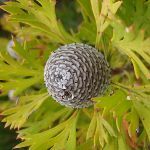 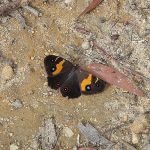 This walk follows the exposed ridges of the Mt Hay area, taking in an interesting array of low heath, wildflowers and insects which add to the surrounding scenery. 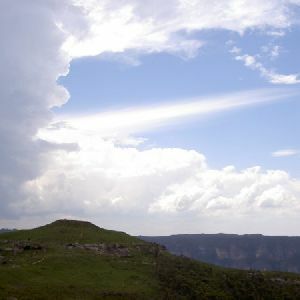 The track rounds the Hay Monolith, a large mass of rock that stands alone. 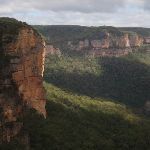 An optional side trip offers views over the cliffs and to the prominent Lockley Pylon. 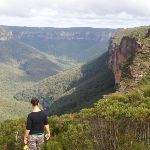 This is an excellent walk across the exposed ridges of the Mt Hay area. 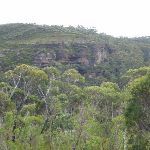 There are great views of the swamps below Mt Hay and further into the Grose Valley. 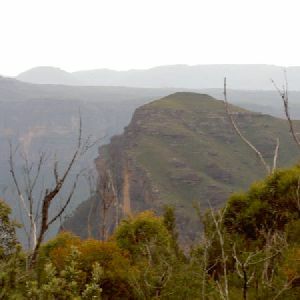 The basalt-capped Mt Hay provides a change in vegetation towards the top of the hill, which also blocks the view from the top. 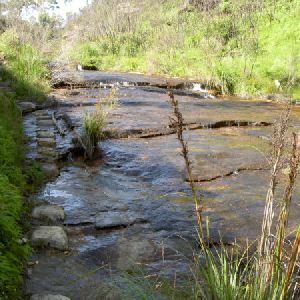 This walk combines the Mt Hay and Hay Monolith trails. 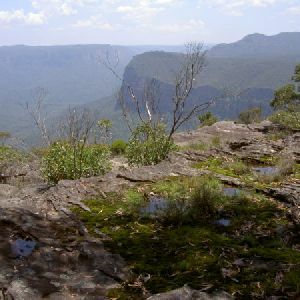 The track takes in the best of the exposed ridges, with views into the swamps and the Grose Valley. 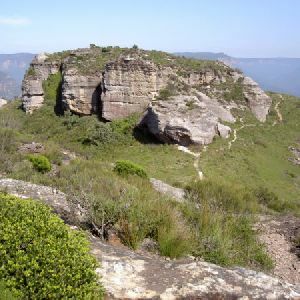 Walkers will pass by many rock formations and wild flowers in the low heath. 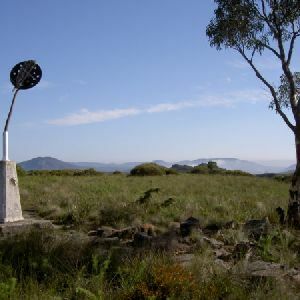 The summit of Mt Hay does not give views of the region, but the track up showcases the surrounding scenery. 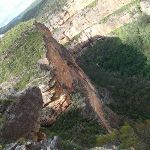 http://new.wildwalks.com/wildwalks_custom/includes/walk_fire_danger.php?walkid=nsw-bmnp-gcl Each park may have its own fire ban, this rating is only valid for today and is based on information from the RFS Please check the RFS Website for more information.